As Prince Edward Augustus, the fourth son of George III and his queen Charlotte, spent part of nearly ten years in Canada between 1791 and 1800, I feel a connection with him that I do not with the other royal princes of the era. 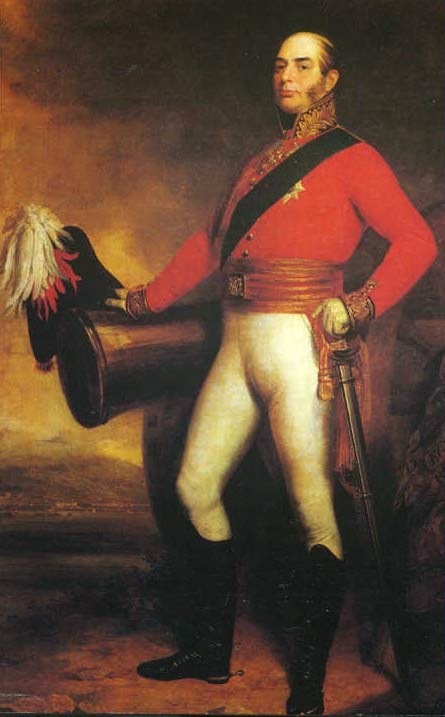 Known after 1799 as Duke of Kent and Strathearn, Edward was born in November of 1767 and died January 23, 1820. In 1818, following the death of his niece and heir to the throne Princess Charlotte, Edward like two of his brothers rushed into marriage. His choice of bride was Princess Victoria of Saxe-Coburg-Saalfeld. And his was the lucky marriage. A daughter was born to the couple in May of 1819, Alexandrina Victoria; she later became the renowned Queen Victoria. In February of 1820, Ackermann's Repository of Arts magazine published a notice of his death. It offers a respectful and flattering precis of the Duke's life and passing. The same edition of The Repository of Arts published plates of appropriate mourning dresses, and a page of text ensuring that the ladies of the day were dressed well in their sorrow. 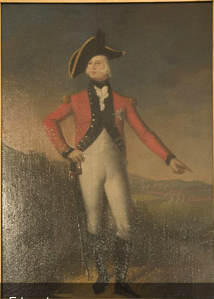 The Duke's father, George III, died only six days after his son in January of 1820. No doubt the mourning dresses donned for the duke were suitable for a king as well. Though the death of the Duke of Kent was overshadowed no doubt by his father's passing, his place in history was assured. He had fathered the great Queen Victoria.